The other day in the office my colleagues and I were talking about memories of childhood treats. 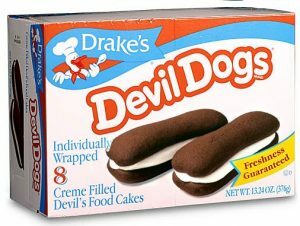 I mentioned Devil Dogs – the classic “Creme-Filled Devils Food Cakes” from the fine folks at Drake’s. 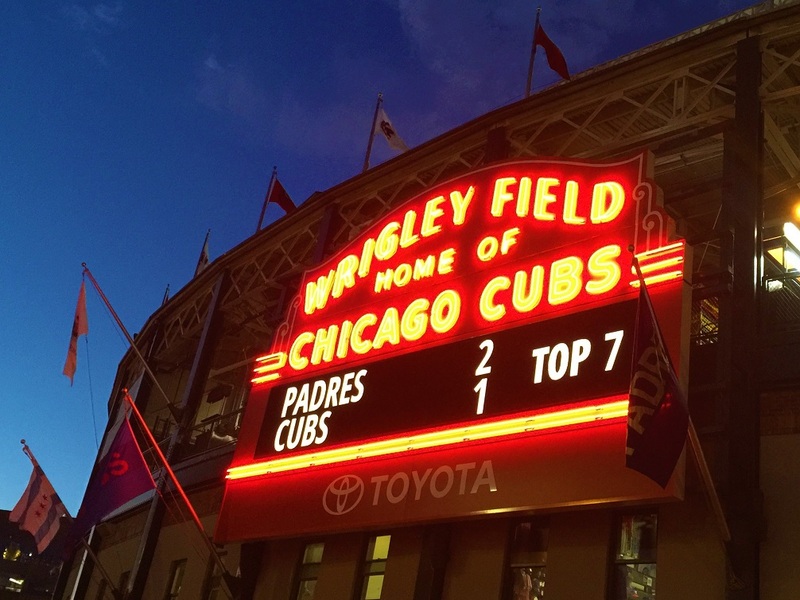 My Midwestern coworkers looked at me with curiosity – they had never heard of them. 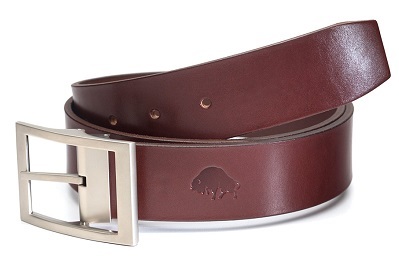 So I figured that Devil Dogs and Drake’s were a regional thing (I am a New Englander but now live in Kansas City). In any case, I was pleased to find on discovery that the great little snack treats of my boyhood are still being produced. Learn more about Devil Dogs and where to find them here. Learn more about Drake’s and see all their product offerings here. Meanwhile, a treat I most certainly did not have when I was wee, is the Goat Cheese with Red Cherries Ice Cream I found from the fine folks at Jeni’s. 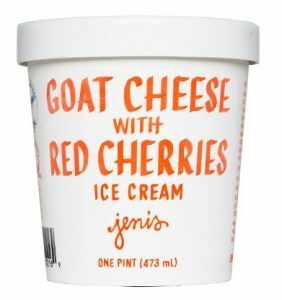 Find the Goat Cheese with Red Cherries Ice Cream from Jeni’s here. Learn more about Jeni’s and all their flavors and where to buy here. If you are searching for a calming voice in these turbulent times in America, I urge you to find that of the great David McCullough – literally and figuratively. The legendary historian and author has a great voice for narration and has provided the voice for many documentaries over the years – and it is very calming and reassuring. But it is his complete grasp of American history that we need to pay attention to. 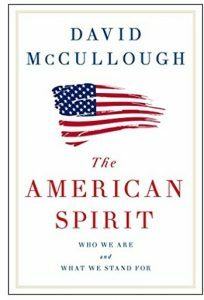 Now, in his wonderful new anthology, The American Spirit: Who We Are and What We Stand For, we are treated to a collection of Mr. McCullough’s keynote speeches which shine a light on our collective past and what it means to be American, now and forever. In our current political climate and on the eve of the celebration of our Independence, it is good to be reminded of what holds us all together as one nation. The American Spirit: Who We Are and What We Stand For by David McCullough is available from Amazon and other fine booksellers everywhere. I dug up this essay I wrote a while back as part of my ongoing memoir project. I kept thinking about this snapshot of family life with my dad at the helm as I mourned his recent passing, and thought I would share. How I long to be that little boy in the way back again. 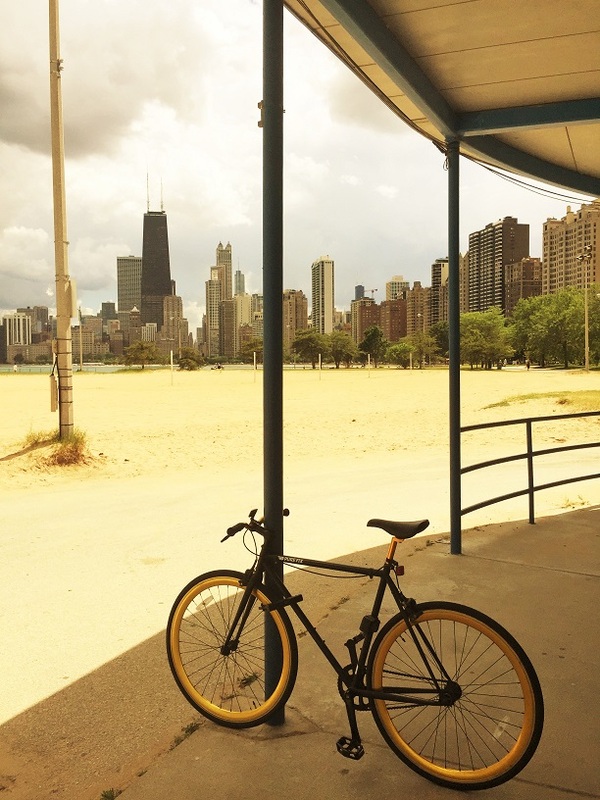 The summer of 1975 stands out in my mind as the time when my father was at the most “dad-ish” – the epitome of the patriarch of the American nuclear family in the latter half of the last century. Perhaps this is because that summer I was old enough to remember things well, and it was the last summer we had true family trips before my older brother and sister spun off out of high school ending our togetherness. 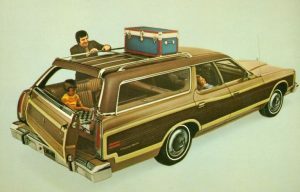 As it was in the summer of 1975, our requisite Ford Country Squire station wagon was completely full on trips around New England, with: my parents in the front; my oldest brother, and my sister and her best friend in the back seat; and what seemed like ten feet of luggage behind them before you got to me and my middle brother – in the two jump seats in the “way back”. The way back was the best place to be as a kid. Separated from the rest of the family, and out of swinging distance should said older brother decide it was time to give out a love punch or two. In the way back we were in our own little world – complete with no seatbelts and a tailgate window that could be controlled by my dad in the front seat. This particular Ford Country Squire station wagon had six radio speakers long before that was common in cars. Two speakers up front, two in the middle, and best of all, two in the way back – all to hear the tinny AM radio and the music stations of the day that would play whatever was on the top 40 no matter the genre. The speakers were also controlled by the driver, my dad, who ruled the radio, what station would be played, what songs he would allow to be sent across all speakers, and at what volume. A power he loved almost as much as controlling the car’s high beams with a foot pedal, but that is another story. When I say dad had the power over the radio controls, that is technically true. However, the power really belonged to my sister and her friend, who at 15 needed their fix of pop music to get through the day. At that time Elton John ruled the charts and their hearts, and when a song the girls liked, say Elton’s “Philadelphia Freedom” or America’s “Sister Golden Hair” or KC and the Sunshine Band’s “Get Down Tonight” came on, they would shout “turn it up turn it up” – and my dad would comply. Eventually the radio will be at full tilt, my mother sleeping through it all. By the time “Rhinestone Cowboy” came on the car would be pulsing and all of us – save for the too cool oldest brother – singing along. A song the girls did not like would receive a chant of “turn it down turn it down” – an honor bestowed on that summer’s ubiquitous “Love will Keep Us Together” and “The Hustle” if I recall, with all due apologies to the Captain, Tennille and Van McCoy and the Soul City Symphony. Occasionally we in the way back shouted “turn it up” and got our wish – like that summer’s “Listen to What the Man Said” by Wings, which is still a favorite. Inevitably commercials would come on and dad would turn the volume down until the “turn it up turn it up” chorus began again. The trick was that dad would turn off the speakers in the front and just have the music in the back for us kids – something that was evident every so often when a song that he particularly liked came on and he would turn off the back speakers and blast the volume up front. Favorites at the time were Tony Orlando and Dawn, Roberta Flack, and John Denver. But the song that stands out the most from those crazy hazy days in the way back of our Ford Country Squire station wagon in the summer of 1975 – the song that always got the front seat speaker radio treatment was: “The Last Farewell” by Roger Whitaker. “There’s a ship lies rigged and ready in the harbor, tomorrow for old England she sails,” he would warble at the start. My mother would stir from her slumber. “For you are beautiful, and I have loved you dearly, more dearly than the spoken word can tell,” dad sang the chorus at the top of his lungs. “For you are beautiful, and I have loved you dearly, more dearly than the spoken word can tell,” he sang more insistently in my mother’s direction. Mom would smile. They would share a special look, or sometime a squeeze on the arm. Before long the song would be over. Mom would be back to her nap. Earth Wind and Fire’s “Shining Star” would come on. 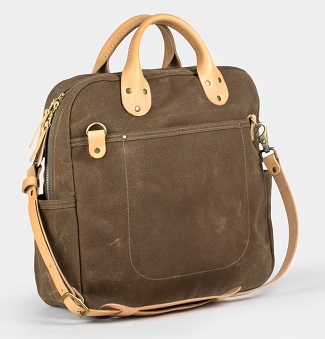 I am still searching for the perfect bag to carry back and forth to work – but the quest may be narrowing now that I have found the Field Tan Waxed and Natural Leather Briefcase from the fine folks at Winter Session. Find the Field Tan Waxed and Natural Leather Briefcase from Winter Session here. See Winter Session’s entire collection of work bags here. Learn more and visit Winter Session online here. Your Fourth of July party deserves something better than dollar store plates (although as you know I am a big dollar store fan) so spring for something a little nicer, like the Star Spangled Paper Plates I found from the fine folks at Caspari. 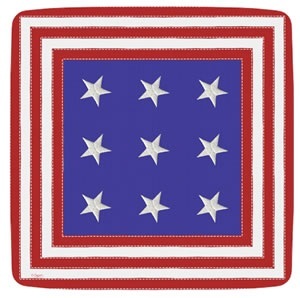 Find the Star Spangled Paper Plates from the Caspari Collection here. See all the great products from Caspari here. So, what to put on those plates? Well before you go for the boring old hot dog, I beg you to check out the sausages from the fine folks at Bacon Freak – yes BACON FREAK. 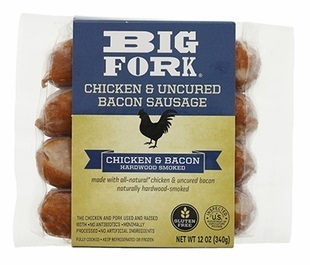 See all the great – and I mean great – products from Bacon Freak here. 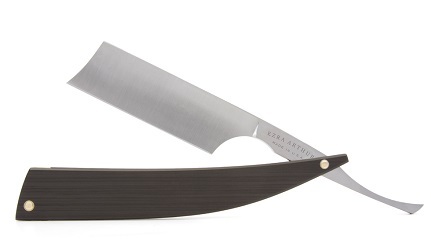 Learn more and visit Ezra Arthur online here. It is hard to believe for some of us that Princess Diana will be gone 20 years ago this August. Which means there are young adults out there who were not around when she was alive and do not know how special she was. 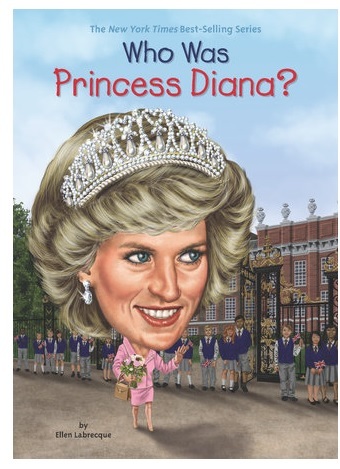 Now, as part of Penguin/Radom House’s wonderful “Who Was” series of books for children, Princess Diana is introduced to new generations in Who Was Princess Diana? by Ellen Labrecque and Nancy Harrison, with illustrations by Jerry Hoare. The great thing about the “Who Was” series is that it provides background of historical and pop culture figures past and present (it is “Who Is” for those still alive) for children to get into the conversation. In addition to Princess Diana, the series has scores of volumes ranging from Who Is Winston Churchill to Who is Lucille Ball. Who Was Princess Diana? by Ellen Labrecque and Nancy Harrison is available from Amazon and other fine booksellers everywhere. Learn more about Penguin/Radom House’s “Who Was” series here. Lost Cowboy is powered by	WordPress 5.0.4 and delivered to you in 1.948 seconds using 58 queries.